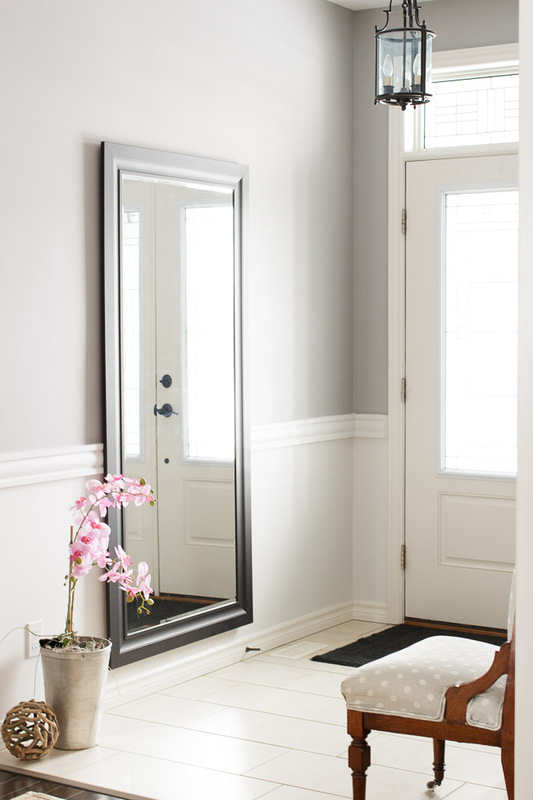 Entryway Refresh Just In Time for Spring! I'm sitting here typing this post while the snow falls outside. I can't deny that I'm itching for spring and that I was completely overjoyed to see tulips and crocuses sprouting in our gardens earlier this week, but I'll do my best to be patient and ride out the rest of winter! 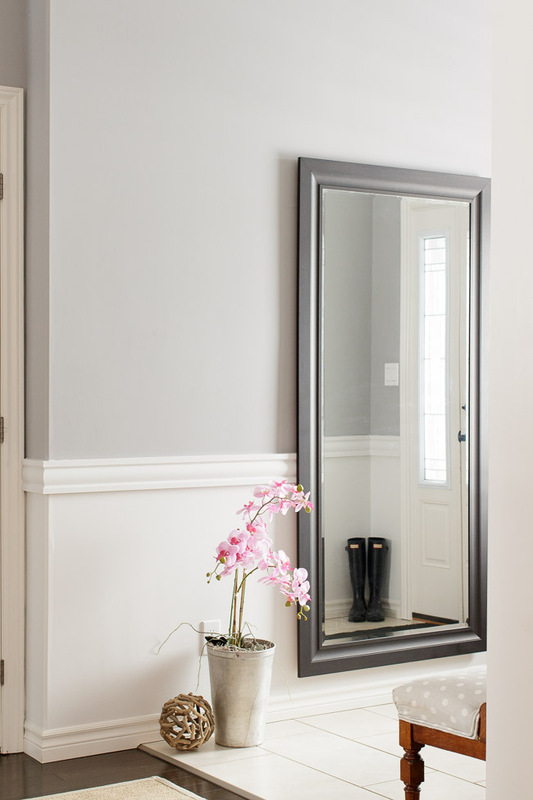 A few months ago I realized that our entryway was beginning to look a little tired and that the walls could definitely use a fresh coat of paint. 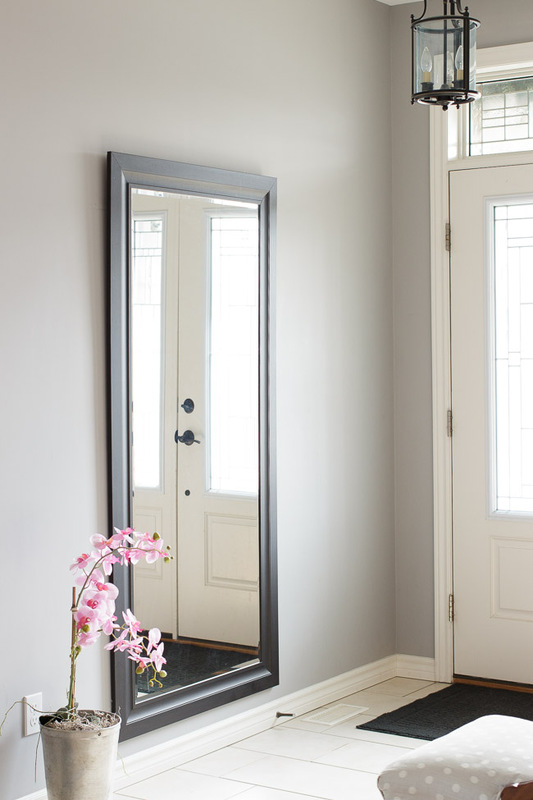 We've been working hard to update spaces throughout the house, and I thought that this would be a good opportunity to add some detail to our entryway for a fresh new look. I'm thankful to have had the opportunity to work with PARA Paints on this project! 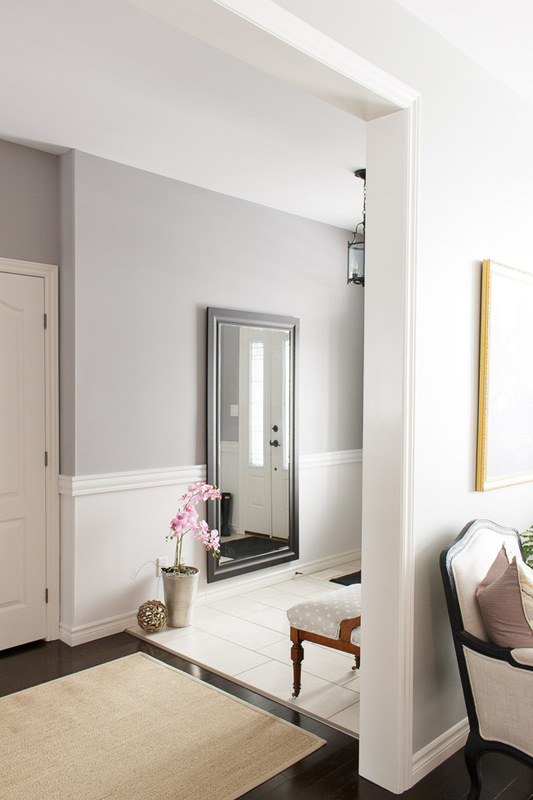 I knew from the start that I wanted to add a chair rail and to paint it and the lower portion of the wall a beautiful light colour, so this was the perfect opportunity to work with the amazing paint brand and to explore their Colour Journeys line. After looking through the Colour Journeys site, I narrowed down my choices to Simply White, Winchester and Authentic (I 100% took advantage of the colour visualizer tool which allows you to see how a colour will look in a room). 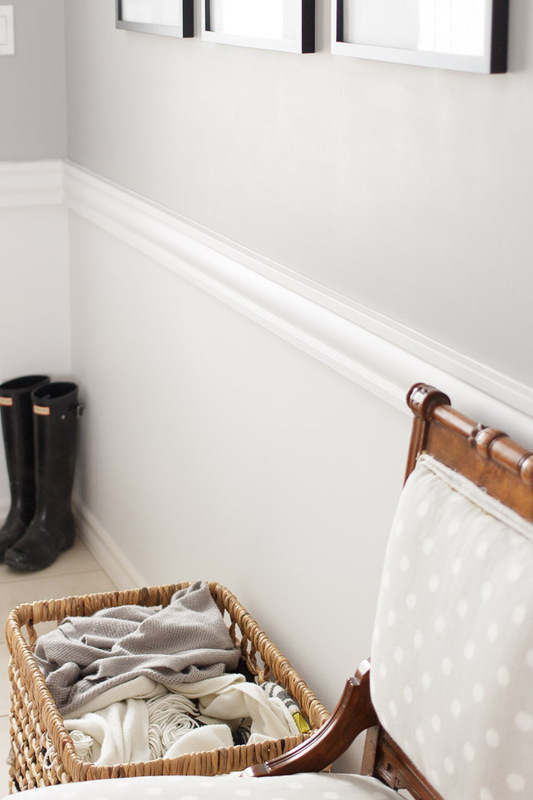 I absolutely loved Simply White (WH05), it's undeniably a beautiful white, however Winchester (402A) also pulled at my heart strings and ended up being the winning colour as it paired so well with our existing trim. 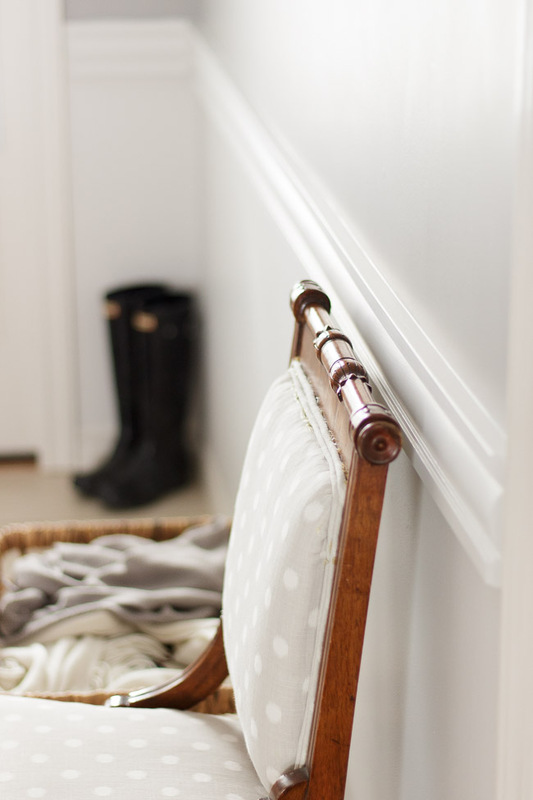 I first installed the chair rail and then it was time to paint over the tired looking grey on the walls. 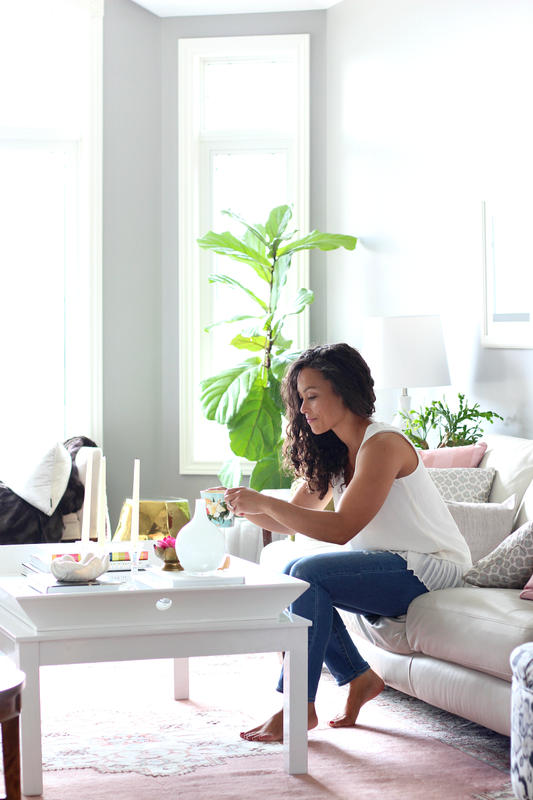 I have no doubt that paint is one of the easiest and most inexpensive ways to update and refresh a space. I chose to go with an eggshell finish so that we can easily wipe down and clean the walls as necessary. You'll notice that decor wise, I only added the decorative ball made from driftwood beside the orchid, otherwise, everything is the same in the before & after pictures. Isn't it unreal how much of a difference a little paint can have on a space?! It was important to take into consideration the style of the other rooms as you can see several spaces at the same time. That being said, this is the primary entrance to our home, it's where we welcome guests and where we walk in after a busy day so I did want it to have a little bit of a voice of it's own, which is why I chose to add the chair rail. I just LOVE the new look! Be sure to take a look at the entire line here!